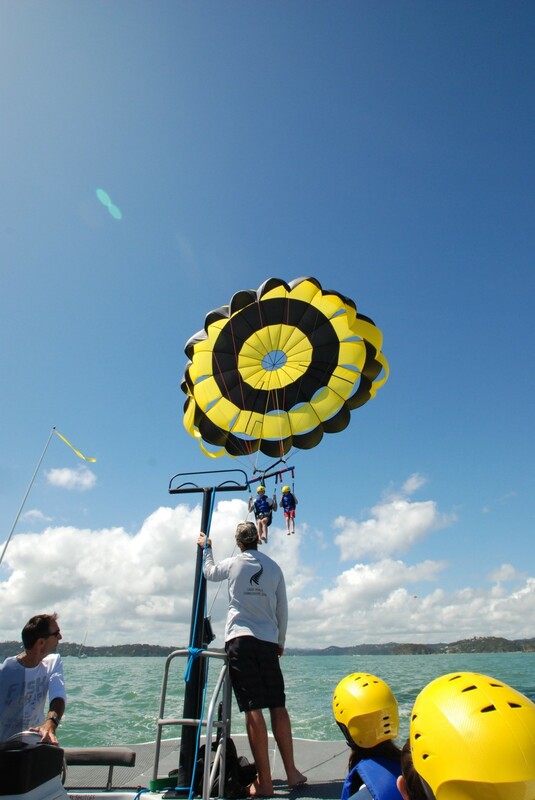 Parasailing in Paihia is the ultimate way to see the spectacular Island paradise of the Bay of Islands. Jump on board our specialized parasailing boat for the high-flying experience of a lifetime. 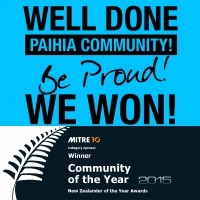 At 1200′ of line we are one of the two highest parasailing trip’s in New Zealand and have the latest in parasailing and safety equipment. Take a solo, tandem or triple parasail flight and soar high above the tranquil blue waters of Paihia, Russell and beyond. Enjoy the incredible 360 degree views and keep an eye out for yachts and other boats or playful dolphins leaping way below. Anyone, from 5 years old can parasail with us and you don’t even have to get wet! Great for Families, Corporate, Office and School groups or inquire about our special sole charter packages which combine parasailing with island tours, with food and drink options available. Our boat, “Sky Warrior” is a custom built Ocean Pro 31 and can carry up to 12 passengers in comfort and at speed.